Registration is now open for 5% bonus categories for Q3 2015 (July-September) when using your Discover card. 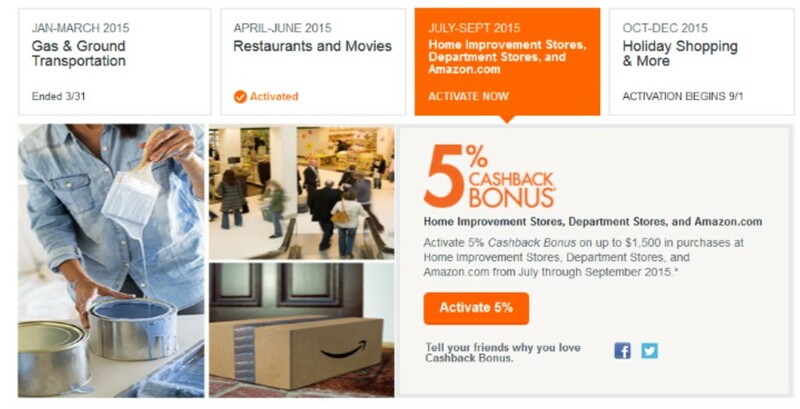 Bonus categories for Q3 are Home Improvement Stores, Department Stores and Amazon.com. You’ll earn a 5% cash bonus for up to $1500 in purchases in this time frame. Many home improvment and department stores sell gift cards, so here’s a great way to stock up for future purchases. The discount even applies to Amazon e-gift cards! Log into your Discover account and register today.